A car loan is one of the biggest financial agreements one can enter into other than a mortgage, so it’s important to carefully consider your options and know what you are getting yourself into before you sign on the dotted line. Understand what you will be agreeing to when you sign a car loan, and take along an essential checklist of things to consider while you are comparison shopping for a loan. 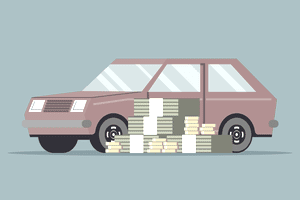 Car loans come in all shapes and sizes, but they all have three main components: dollar amount, duration, and interest rate. The dollar amount will, of course, be determined by how much money you need to finance the purchase of the vehicle, while the duration is determined by you given your ability to pay and the interest rate is typically determined by your credit score. The interest rate will typically be denoted as APR, which stands for annual percentage rate, and often the credit score needed to apply will be listed as well. While you are comparison shopping, compare what sort of combination of these three factors makes the most sense for you and your budget. You do not want to miss a thing when it comes to purchasing a car. Using a car loan checklist will help you compare one loan to another. Make the Bank Your First Stop: Nine times out of ten, you will find the best auto loan interest rate by going to your bank or credit union before you head to the dealership. While banks often require excellent credit, if you can arm yourself with a loan before you head to the lot, you will be in a much better negotiating position—and save yourself a lot of money in the long run. Make a Licensed Dealer Your Second Stop: Large brands such as Toyota, Honda, Ford and other names you know and trust often have their own financial institution. To tap into these deals though, you will have to shop for your vehicle with someone that is a part of one of these large networks. Be sure to ask for a loan directly from the financing company, such as Ford Credit, and make it clear that you don’t want to consider third-party lenders. Know the Loan’s Total Cost: Let’s say you are taking on a loan of $10,000. If you are looking for a 36-month loan with a 4% APR and comparing it to a 48-month loan with a 3.5% APR, which one is better? It depends on what “better” means to you. The first loan will come with a $295.24 monthly payment and cost you $628.63 in interest, meaning the “total cost” will be $10,628.63. The second loan may sound better because it has a lower interest rate, but because the loan term is longer, you will end up paying more in total. Your monthly payment will be lower, though, at $223.56. You will pay $730.88 in interest over the 4-year term, bringing the total cost to $10,730.88. If a lower monthly payment is worth more to you than paying less overall, then go with the second loan. If your fortunes change and you start making more money, you might want to consider paying off your loan early in order to save in interest and stop having the hassle of monthly payments. But if you do so without checking the fine print, you may be hit with penalties that will make it not worth doing so. It is best to check with your lender before agreeing to anything. If you take your sweet time in comparison shopping for loans, your credit will suffer. Every time a potential lender checks your credit, your credit will momentarily dip—making it harder to get a different loan if you decide to do so. This is because shopping around for multiple loans is a signal to lenders that you are desperate for money, even if that is not at all the case. Before you enter into a multi-year contractual relationship with a company, you should definitely check and be sure that they don’t have a large number of complaints or a history of poor customer service! For larger companies and smaller ones alike, you can call the Better Business Bureau (BBB) or check online.